It can't be any clearer that the Fed finally realized the magnitude of their problem in Q4 2018 and quickly and immediately reversed course! This chart suggests it may have been too little, too late!! Note particularly the vertical recession bands associated with the Dotcom and 2008 Financial Crisis. Richard Duncan has just put out an excellent video entitled "Credit Growth, Asset Prices & The Fed" which illustrates that weak credit growth is now forcing the Fed to lift Asset prices "in lieu of", in an attempt to ward of a recession it may not be able to get out of once / if it is entered!! 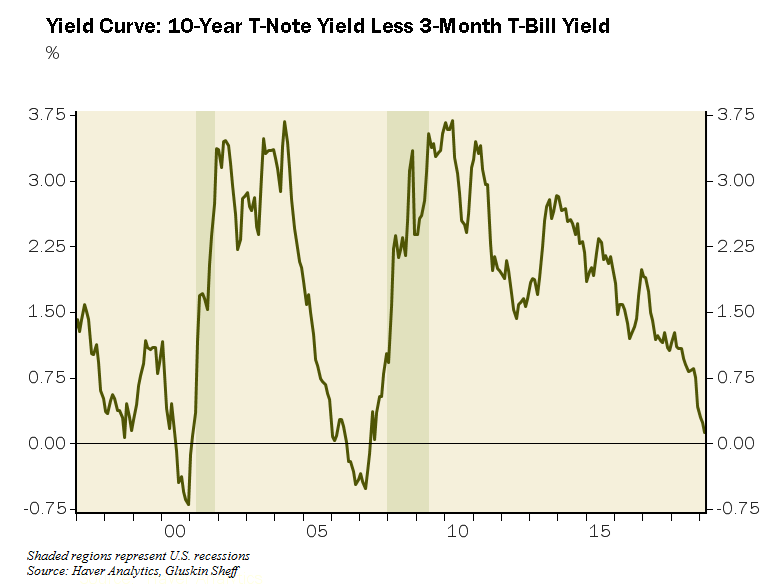 AS LONG AS THE YIELD CURVE SPREAD REMAINS THIS CLOSE TO ZERO, POWELL IS ON HOLD!